A collaboration between Berlin-based producer Heatsick (aka Steven Warwick) and London’s Bass Clef (aka Ralph Cumbers), HSBC released a five-track 12-inch EP, Die Blaue Stunde, via Angela Bulloch‘s ABCDLP label in January 2017. HSBC (Heatsick & Bass Clef), Die Blaue Stunde (2017). EP cover. Artwork by Angela Bulloch. Courtesy the artists. 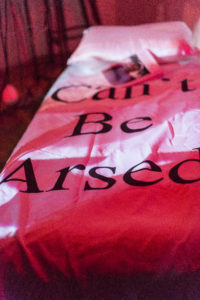 The piece was exhibited as part of Bulloch’s Large Blue Listening Station performance presented at Art Genève in the same month, while an excerpt of ‘The Blind Owl‘ was shared on AQNB’s Souncloud yesterday. According to Warwick, who below shares title-track ‘Blaue Stunde’ — along with some notes on what inspired them — the partnership came together over the last couple of years. The two artists debuted their live performance with ‘Travelogue‘ at Schinkel Pavillon for Schinkel-Klause in Berlin on May 5 before Bulloch invited Warwick and Cumbers to release a record on her ABCDLP imprint, then performing it as part of the aforementioned installation at Villa Sarasin on January 25. On record, the music is at once calm and frenetic, taking the analogue daze of Bass Clef’s sonic temperament and Heatsick’s coarse minimalism, and marrying it with the latter producer’s evolving oeuvre that has been pulling focus on the poetry of words at their most direct. “‘The Blaue Stunde’ (or, ‘Blue Hour’) is a German phrase for the moment during dusk and dawn when the colours of the night and day are changing. It has magical connotations and is associated with disorientation and late night revelations. I’ve also used the phrase ‘Blaue Stunde’ previously in a Heatsick song (C’était Un Rendez-Vous). ‘The Blind Owl’ takes it’s name from the novel by the Persian writer Sadegh Hedayet, in which the character has a late-night conversation with a owl-shaped shadow on the wall. 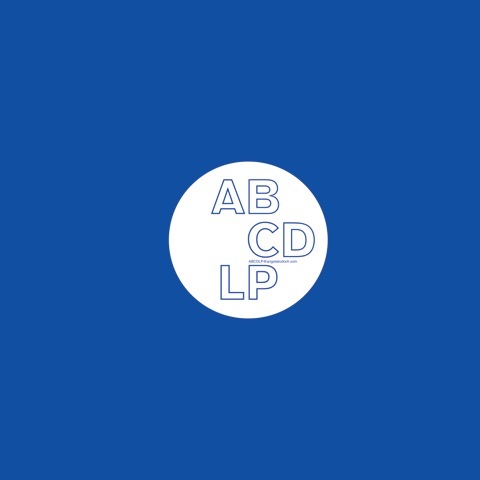 HSBC (Heatsick & Bass Clef)‘s Die Blaue Stunde is out now via Angela Bulloch’s ABCDLP label.